Searching for healthcare services has never been easier. Your Ability provides results in 4 easy steps. 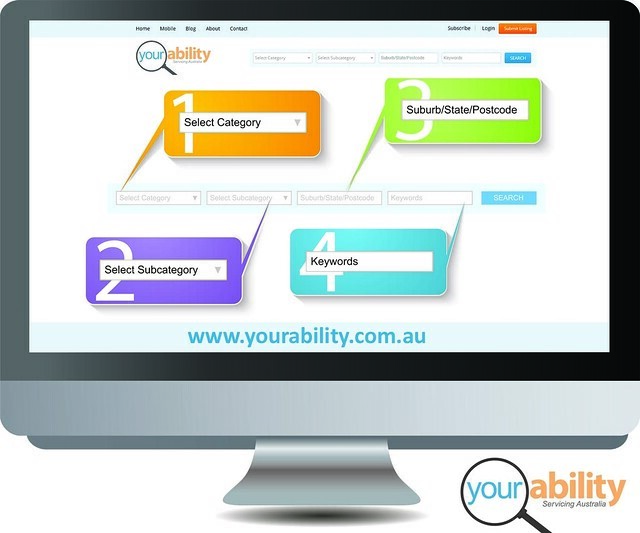 Your Abilities number one aim, is to make every users experience an easy one. Your Ability is extremely user friendly and provides an instant search list of healthcare providers locally or nation wide. This gives users a streamline experience with an opportunity to save Favourites of their individual healthcare listings of choice. Another way users can search for healthcare providers is by clicking directly into each of the 10 healthcare categories, then choose a subcategory to search for healthcare listings. Your Ability is an innovative, fresh, simple healthcare hub designed with the user in mind. Making sure clutter and distraction is removed, and solutions and answers are displayed. Giving users a premium healthcare resource. Allowing every individual the chance to Realise Their Full Potential.